Jeremy Hunt argues that sharing GP records with universities and private companies will provide a valuable tool for medical research, monitoring flu outbreaks and screening for common diseases. Oh yes? And what else? Sensitive medical information will be included – for example whether a patient suffers from a condition such as cancer, heart disease or depression – as well as lifestyle information such as alcohol consumption. Names and addresses will not be uploaded, but ‘patient identifiable data’ including date of birth, postcode, gender and ethnicity will. Using publicly available records such as electoral rolls – which contain postcode and dates of birth information – malicious individuals could then identify who the patient records belong to. Do you know what’s in your medical records now? Now let’s start the blog proper with an apparently innocuous letter we’re all receiving from our local Clinical Commissioning Group. If you haven’t received it, you will shortly. 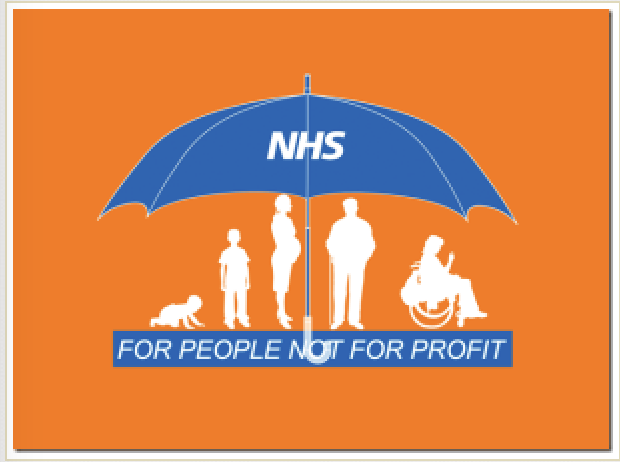 It’s all about the NHS Summary Care Record (SCR). The government proposes to collect everyone’s medical records into centralised databases. A new NHS computer system is being rolled out across England, called the Summary Care Record (SCR). GPs are being asked to create a summary of your medical notes and upload this to a centralised IT system. This will be called the General Practice Extraction Service (GPES). 12-16 weeks before your details are due to be uploaded you’ll receive a letter about this. If you do not respond in time, you will be assumed to have given your consent. i.e. it’s an opt out rather than specific request to say ‘yes’. In Bristol, there’s also 2nd record called the Connecting Care Record – this is for local IT data purposes. Former shadow home secretary and a previous Conservative party leadership contender David Davis, MP also said the care data extraction would present a ‘honeypot of data’ to hackers. It is essential that patient medical records are only be uploaded with the explicit consent of patients. The campaign group MedConfidential (see: http://medconfidential.org/) says the SCR should be abandoned for reasons of safety, functionality, clinical autonomy, patient privacy, and human rights. Information will not be anonymous when it leaves your GP’s surgery; it will be extracted with your personal details still attached. The government’s Health & Social Care Information Centre (HSCIC) (http://www.hscic.gov.uk) which runs the General Practice Extraction Service (GPES) – will then determine which parts of your information it will share with others, and whether this will be in a form that identifies you. NHS England, for example, has already been granted a legal exemption to pass identifiable data about patients between various commissioning bodies. The European Commission wants a comprehensive reform of the EU’s 1995 data protection rules to strengthen online privacy rights and boost Europe’s digital economy. On April 26th 2013 corporate lobbyists went to a meeting in Brussels to fight for their case for amending stricter regulations on data protection. Ross Anderson was there and he noted that a senior executive from the Association of British Insurers found it “painful that the regulation might ban profiling” (using data to determine information about individual) that was unfair or discriminatory. See: (http://www.lightbluetouchpaper.org/2013/04/28/how-privacy-is-lost) for more information. At that meeting there was also resistance to anonymisation of data. Helen Wallace (GeneWatch) says “profiling is not always helpful, such as health data being used to profile customers to deny them insurance.” “If everyone is tagged and categorised using their DNA, privacy will be wiped out”, warned Dr Wallace. “The motivation isn’t better health, but marketing by private companies and surveillance by the government”. See: http://www.genewatch.org/article.shtml?als%5Bcid%5D=539478&als%5Bitemid%5D=565571. The HSCIC manages all medical heath data and currently charges tens of thousands of pounds for carrying out a typical ‘data extract’ request. But in August 2013 Geraint Lewis, chief data officer at NHS England, announced proposals to reduce these costs to just £1 a time. Eventually NHS England wants to include full medical records going back 20 years. Now let’s take a trip across to the US. There, as hospitals and clinicians shift to digital medical records, administrators promise patients better care and shorter waits. They often neglect to mention that they share files with state health agencies, which in turn sell the information to private data-mining companies. The records often contain patients’ ages, Zip Codes, and treatment dates – enough ‘metadata’ for an inquiring mind to match names to files or for aggressive companies to target ads or hike insurance premiums. Read http://mobile.businessweek.com/articles/2013-08-08/your-medical-records-are-for-sale for further information. Companies that buy the state data include IMS Health, a provider of prescription data; and UnitedHealth the biggest U.S. health insurer. And here’s the rub, as more and more private healthcare providers with their health insurance arms have access to this data, the more it supports the health insurance market, essential to a privatised health service. Back in the UK 55 organisations are accredited to apply for identifiable or sensitive data and they can apply for information from this new General Practice Extraction Service (GPES). Let’s remind ourselves that Atos is an international information technology services company with revenue of €8.8 billion and 76,400 employees in 47 countries. (read http://uk.atos.net/en-uk/ and http://www.atoshealthcare.com/ to get a real feel of their operations. To summarise: The General Practice Extraction Service (GPES) is the centrally managed primary care data extraction service that will, for the first time, extract information from GP IT systems for a range of purposes at a national level. GPES is the only national means of extracting primary care data from general practice systems. It comprises two main parts and is being delivered by a number of IT services organisations. ATOS have been awarded the contract to provide the tool that will produce the extract queries, whilst the extractions themselves will be conducted by the GP practice system suppliers – EMIS, TPP, Microtest, INPS – all private companies. Read http://www.hscic.gov.uk/article/2226/GPES-overview for more details. If you let us have an e mail address, Brian, we’ll send you the information you need to opt out. Please e mail protectournhs@gmail.com. Useful tips, I will save your blog foor even more. Thanks for this. We do try to provide well-sourced evidence of what we write about in this post-truth world!